Simon has a passion for food and has worked at a variety of restaurants across Yorkshire, including Marcels, Hazelwood Castle, Calls Grill and The Wardrobe. You may also have seen him recently demonstrating dishes on the main stage at the Yorkshire Food and Drink Show. He swiftly worked his way up the culinary ladder to become Head Chef at the Wardrobe. During his time at The Wardrobe the venue received 5 star food reviews in The Yorkshire Evening Post on numerous occasions. As a Head Chef Simon took pride in managing and developing a large team of chefs. Many of the chefs Simon mentored have key roles in restaurants across the city to this day. After realising that one of his true callings in cooking was passing his knowledge onto others, Simon started working for the charity Zest, as Project Manager for the Jamie Oliver Ministry of Food Leeds cookery school. Ministry of Food Leeds is now well established and in the seven years that he has been managing the projects thousands of students, from all backgrounds, have benefited from the healthy eating cookery courses. Simon is now coordinating and developing our specialty classes at the Leeds Cookery School, bringing his personal knowledge in subjects such as grill cookery, sauces, pate and terrines to create an exciting and challenging set of classes. 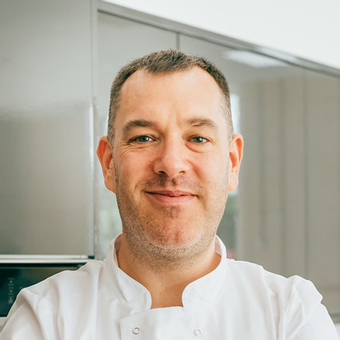 As Head Chef Simon has been able to use his extensive contacts within the Leeds culinary scene to bring together a dynamic and diverse team of experts to ensure that Leeds Cookery School offers a unique and engaging set of classes.